Are you looking for the best document, barcode, business card scanning app for your iPhone? Now, you can scan documents, receipts, tickets, barcodes or other printed bills and save anywhere, anytime with your iPhone. 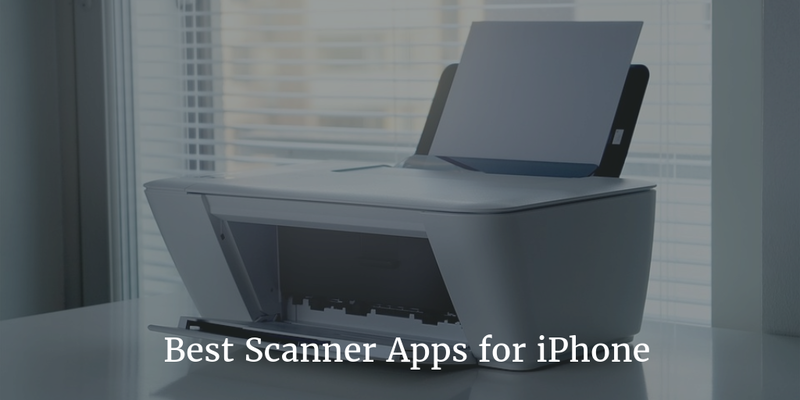 Here you can see in this list 12 best scanner apps for iPhone and iPad. 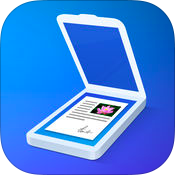 You can scan easily and quickly any documents with the camera of your iPhone or iPad. 1. 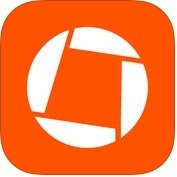 Prizmo - Pro Scanner ( iPhone + iPad ) :- Prizmo is a unique and photo-based scanner app for iPhone and iPad that lets you scan and recognize text files or documents, images, and you can export them as PDF or text/JPG or PNG. 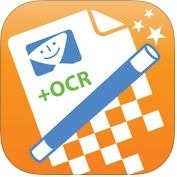 This scanner app has lots of amazing and unique features such as handoff support for offering simple interactions between your iPhone, iPad and Mac, highly accurate OCR technology in more than 40 languages, no internet connection need for image processing and performing OCR and, much more. 2. Scanbot Pro - Scanner App & Fax ( iPhone + iPad + iMessage ) :- This scanner app is one of the best and powerful mobile scanner apps for documents and QR codes for iPhone and iPad. With the help of Scanbot Pro app, you can create high quality PDF or JPG scans, you can send your documents or files through email or as a fax, you can upload them to iCloud Drive, Box, Dropbox, Evernote and other cloud services, you can scan QR code like URLs, contacts, phone numbers location hotspots etc, and, you can also scan multi page documents. 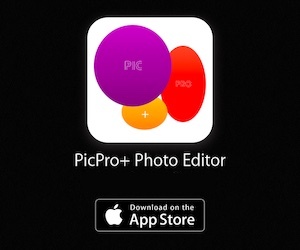 Scanbot Pro app has lots of useful and user-friendly features such as automatic edge detection & scanning, color modes & automatic optimization, smart background upload, passcode protection with Touch ID support, beautiful themes and more. 3. 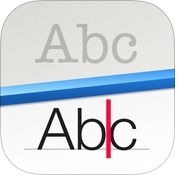 PDFpen Scan+ with OCR, PDF text export ( iPhone + iPad ) :- If you want to use your iPhone or iPad to scan and OCR multi-page documents to create searchable PDFs, you can use PDFpen scan+ with OCR app on your iPhone and iPad. 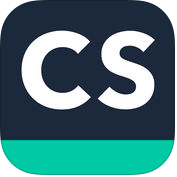 With the help of this scanner app, you can scan and OCR on your iPhone or iPad, you can scan documents, receipts, business cards, articles, recipes and more. PDFpen Scan+ app has lots of latest and unique features such as touch-free scanning on your iPhone or iPad camera, scan multiple pictures into a single document, detects page edges automatically when camera is focused & steady, auto export scans to Dropbox or iCloud Drive, OCR documents in more than 18 languages, organize documents in folders, import scans from your photo lab and, much more. 4. 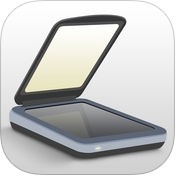 Scanner For Me - PDF Scan with OCR for Documents ( iPhone + iPad ) :- Scanner For Me is one of the best, powerful and advance featured scanner apps for iPhone and iPad. With the help of this scanner app, you can instantly scan and print any printed, written or graphic material like contracts for your partners or clients, business cards, receipts to track your expenses, book pages and other multi-page document for different purposes; you can convert your scans into editable text with OCR technology, you can scan with a camera or choose photos from camera roll, you can upload your scans to Dropbox, Google Drive, Evernote and more on one finger tap and, you can also protect your files with Touch ID or passcode. 5. 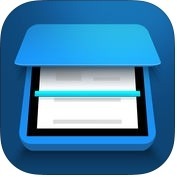 TurboScan™ Pro - document & receipt scanner ( iPhone + iPad ) :- This scanner app turns your iOS devices into a powerful and rich-featured scanner for documents, books, receipts, photos, whiteboards and other text and, you can scan your multipage documents easily in rich quality PDFs or JPEGs, you can share them anywhere, anytime in one finger tap. TurboScan Pro app has lots of effective and unique features such as automatic documents edge detection & perspective correction, arrange multiple receipts, books, business cards on a PDF page for printing, Touch ID & passcode lock, upload, auto-upload and backup to iCloud Drive, AirDrop function, email or message documents as PDF, JPEG, or PNG, or save to photos and, you can also add and reorder pages at any time. 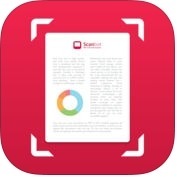 6. iScanner - PDF Document Scanner App ( iPhone + iPad ) :- With the help of iScanner app, you can easily scan, save and share any document in PDF or JPEG format on your iPhone or iPad. iScanner is a handy and powerful smartphone scanner. This scanner app has lots of advanced features such as scan to rich quality PDF or JPEG, save scans in grayscale, black & white or color, extract any text from scans or images using OCR, multi-page scanning, batch processing mode, E-sign any document by adding your signature or scans within the app, protect your documents by locking folders and scans with password and, you can also share & upload scanned documents to cloud services like Dropbox, Evernote, OneDrive or Google Drive. 7. JotNot Pro - PDF Document Scanner App ( iPhone + iPad ) :- Are you looking a fantastic and user-interface scanner app for iPhone and iPad? If yes, you can use JotNot Pro app on your iPhone or iPad, that lets save a digital version of your paper documents fast and easily. With the help of JotNot Pro app, you can scan your documents, receipts, business cards, certificates, bills etc and, you can also share easily your documents in PDF or JPEG format with others via social networks. 8. 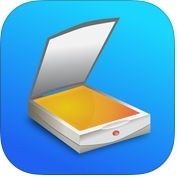 Scanner Pro ( iPhone + iPad + iMessage ) :- Scanner Pro is one of the best and full-featured scanner apps for iPhone and iPad that lets scanning quickly and saving a digital version of a paper document. With the help of Scanner Pro app, you can share your document via email and upload your perfect scans and, you can use text recognition (OCR) to copy and share text from searchable PDF documents, you can receipts to keep track of travel expenses, you can save interesting articles and book pages for later, you can create amazing-looking documents with original pictures, color stamps & signature, you can convert any scan into a text can be selected and copied and, you can also scan agreements and books into multi-page PDFs or JPGs. 9. Adobe Scan: PDF Scanner, Documents, Receipts ( iPhone + iPad ) :- If you want to scan anything, anywhere, anytime, you can use Adobe Scan app on your iPhone and iPad. With the help of this scanner app, you can scan anything to PDF, you can turn your device into a powerful portable scanner that recognizes text automatically (OCR), you can scan like notes, business cards, receipts etc and, you can also even scan multipage documents with a single tap. 10. 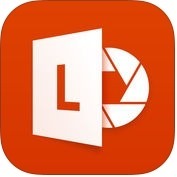 Office Lens ( iPhone + iPad ) :- With the help of Office Lens app, you can capture and crop a picture of a whiteboard or blackboard and share your meeting notes with your co-workers, you can sketch your ideas and snap a picture for later, you can save your documents with a passcode, you can also save your photos to OneNote, OneDrive or other cloud storage. 11. Genius Scan - PDF Scanner ( iPhone + iPad ) :- This scanner app scan quickly your documents on the go and export them as JPEG or multipage PDF files on your iPhone and iPad. Genius Scan is one of the best, perfect and user-friendly scanner apps for iPhone and iPad. Genius Scan app has lots of unique features such as detects the page frame, crops it and corrects the perspective, emails the scans as JPEG or PDF files, create PDF documents with multipages, organize your documents with titles, tags and powerful search, exports the documents to Box, Evernote, Facebook, Dropbox, OneDrive and more. You can also protect your documents with Touch ID and encrypt PDF files with a password. 12. 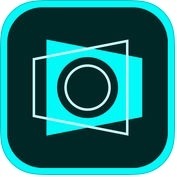 CamScanner | Document Scanner ( iPhone ) :- Do you want to scan your documents into clear and attractive images or PDF? If yes, you can use CamScanner app on your iPhone. With the help of CamScanner app, you can use your smart phone camera to scan like-notes, invoices, receipts, business cards, certificates, whiteboard discussions etc and, you can also share easily and quickly your documents in PDF or JPEG format with others through social networks. This scanner app has lots of powerful and user-friendly features such as optimize scan quality, extract texts from image, set passcode for viewing important documents, auto upload docs to Google Drive, Dropbox, Evernote, OneDrive & Box and, much more. You can also invite friends or colleagues to view and comment on your scans in a group.